The administration is taking extraordinary measures to kill the suit and suppress the evidence of Saudi support for Al Qaeda and complicity in the 9/11 attacks. Last month, the Justice Department sided in court with the Saudi monarchy in seeking to halt further legal action. Moreover, it had copies of American intelligence documents on Saudi finances that had been leaked to lawyers for the families destroyed, and is now seeking to prevent a judge from even looking at the material. Two federal judges and the Second Circuit Court of Appeals have already ruled against the 7,630 people represented in the lawsuit, rejecting the suit on the grounds that the plaintiffs cannot sue in the US against a sovereign nation and its leaders. The Supreme Court is expected to rule this month on whether to hear an appeal, but the families’ prospects have been weakened by the intervention of the Obama administration, which has called on the court not to hear the plaintiffs’ appeal. The Times reports that it obtained the new documents from the families’ lawyers, adding that they are among “several hundred thousand pages of investigative material” assembled by the 9/11 families in their long-running suit against the Saudi royal family. Then-President George W. Bush ordered that section of the congressional report to be classified, and its contents were blacked out in the findings released to the public by Congress. The Obama administration is continuing this policy of shielding the Saudi monarchy. He gives other examples of evidence of Saudi support for Islamist terrorists in Bosnia in the 1990s and witness statements and intelligence reports of money being given by Saudi princes to the Taliban and to “militants’ activities” in Pakistan and Bosnia during the same decade. What are the motives behind the Obama administration’s efforts to cover up the connections between the Saudi monarchy and Al Qaeda? The Justice Department, according to the Times, cites “potentially significant foreign relations consequences” should the 9/11 families’ suit be allowed to go to trial. This is undoubtedly a factor. The US has an immense political and economic interest in protecting the Saudi dictatorship, which is a major American ally in the Middle East, a supporter of Washington’s wars in Iraq and Afghanistan, and the world’s biggest producer of oil. But there is a more immediate and compelling reason for suppressing any exposure of the Saudi connection to Al Qaeda and 9/11. 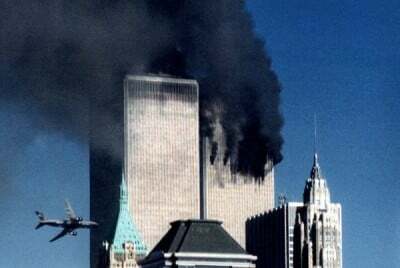 The revelations would undoubtedly shatter the official explanations of the September 11 attacks and point to complicity on the part of US intelligence and security agencies. Given its longstanding and intimate ties to the Saudi royal family and Saudi intelligence, it is not possible to believe that the CIA would have been unaware of Saudi support for Al Qaeda and at least some of the 19 hijackers, 15 of whom were Saudi nationals, as they were preparing to carry out the attacks on New York and Washington. The ties between the Saudi and US intelligence establishments were strengthened during the US-backed war against the pro-Soviet regime in Afghanistan, beginning in 1979 and continuing through the 1980s. The US poured billions of dollars in arms and financing into this war, most of it funneled through the ISI, the Pakistani intelligence agency. The Saudi regime also helped fund the anti-Soviet guerrillas, many of whom were brought to Afghanistan by Islamist forces in the Middle East. Osama bin Laden served as the Saudi regime’s personal emissary in this cause, helping to organize, train and equip Arab volunteers for the Afghan war. The movement now known as Al Qaeda was spawned through the interaction of these three intelligence agencies—the CIA, the ISI and the Saudis. The bipartisan 9/11 commission, in its July 2004 report, echoed the Bush administration’s whitewash of Saudi ties to the terrorist attacks, declaring that it found “no evidence that the Saudi government as an institution or senior Saudi officials individually funded” Al Qaeda. However, in a book published later that year, Intelligence Matters, then-Florida Senator Bob Graham charged the Bush administration with orchestrating a cover-up of Saudi involvement in the September 11 attacks. Graham was at the time the ranking Democrat on the Senate Intelligence Committee, which had carried out, along with its House counterpart, the joint congressional investigation into 9/11. He wrote that “evidence of official Saudi supportî for at least some of the hijackers was ìincontrovertible.” Graham’s charges focused on the extraordinary cases of Nawaf al-Hazmi and Khalid al-Mihdhar, who were identified as hijackers of American Airlines Flight 77, which crashed into the Pentagon. The two men, both Saudi nationals, are undoubtedly the “two hijackers” to whom Times reporter Lichtblau refers in connection with the secret section of the joint congressional report on 9/11. Both were known to US intelligence as Al Qaeda operatives at least since 1999. Malaysian agents, acting in concert with the CIA, photographed and videotaped them and others during a 2000 meeting of Islamist terrorist groups in Kuala Lumpur, Malaysia. Nevertheless, after the meeting, al-Hazmi and al-Mihdhar were allowed to fly to the US using their own passports and visas issued by US consular authorities in Saudi Arabia. While the CIA knew of their presence in the US, it did not inform the Federal Bureau of Investigation, according to the FBI. (The CIA disputes this claim, insisting that it did alert the FBI). Nor did the CIA inform immigration authorities. After landing in Los Angeles in January of 2000, al-Hazmi and al-Mihdhar were met by Omar al-Bayoumi, an employee of the Saudi civil aviation authority. US investigators have concluded that al-Bayoumi was a Saudi intelligence agent. Al-Bayoumi invited the pair to move to San Diego, where he found them an apartment, provided them with money and helped enroll them in flight school. It has been reported that al-Bayoumi served as a conduit for thousands of dollars in funding for the future hijackers sent by Princess Haifa, the wife of Prince Bandar, the Saudi ambassador to the US and a close confidante of the Bush family. Al-Hazmi and al-Mihdhar lived openly in the US, one of them even having his name listed in the telephone directory. Within months, al-Hazmi moved into the home of Abdussattar Shaikh, a retired professor at San Diego State University. Shaikh was on the FBI payroll, charged with monitoring the activities of Islamist groups in the San Diego region. In his book, Graham wrote that the FBI concealed from the joint congressional committee the fact that its paid informant, Abdussattar Shaikh, had established a close personal relationship with the two hijackers. When the committee staff discovered Shaikh’s role and the committee issued a subpoena to question him under oath, the FBI and then-Attorney General John Ashcroft refused to serve the subpoena. Graham said that a senior FBI official wrote to him and the Republican co-chair of the joint committee declaring that the administration would neither allow the FBI to serve a subpoena on Shaikh nor allow the committee staff to interview him. Bush’s extraordinary intervention to block questioning of FBI informant Shaikh was consistent with his administration’s actions in the immediate aftermath of the September 11 attacks, when it allowed chartered planes to ferry some 140 prominent Saudis—including at least a dozen of Osama bin Laden’s relatives—to Boston for evacuation to Saudi Arabia. The pick-up flights were organized at a time when all non-military and non-emergency aviation had been grounded by government order. Bin Laden’s relatives were allowed to leave the country with little or no questioning by the FBI. Graham did not spell out what “damning” information about the 9/11 conspiracy the informant might have revealed. But the role of the CIA, the FBI and the Bush administration in the case of al-Hazmi and al-Mihdhar suggests that it went beyond involvement by the Saudi government. It strongly suggests he was blocked from being questioned out of concern that he would reveal that elements within the US state apparatus knew of plans for an impending hijacking and allowed them to go forward. Eight years after the attacks, no one has been held accountable for what on its face is the greatest failure of national security in US history. The question is: Was it a failure, or was a decision taken to permit a terrorist attack on US soil in order to provide the pretext for implementing plans for wars abroad and repressive policies at home that had been drawn up well in advance of September 11, 2001? That a new administration is continuing the policy of shielding the Saudi monarchy and suppressing evidence of its complicity in 9/11 points strongly to the latter explanation.